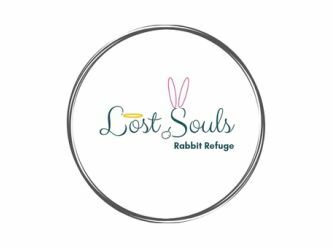 Small, boutique rabbit rescue dedicated to finding loving homes for rabbits that haven't had the best start in life! Thank you for taking the time to view our beautiful rabbits. We love them all and know you will too! If you would like to know more regarding our rescue or considering adopting one of our precious bunnies, please contact us via phone or email. After our chat, if it sounds like you may be a suitable match we will send you through a application form (step 1). Once we have received your forms and feel you would be a good fit for our rescue bun/buns, we will arrange a time for you to meet (step 2). Occasionally, we may organise a house check to ensure that your setup is safe and secure. 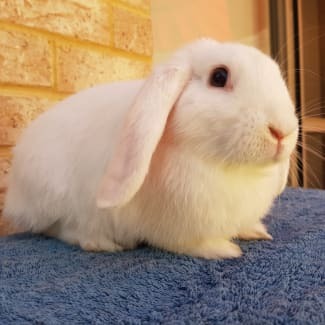 If you feel comfortable and we feel comfortable with you and the bunny together an adoption fee is paid and your welcome to take your new family member home on a 2 week trial (step 3). If after the trial your more than sure your new family member will fit perfectly into your life, you will officially adopt! (step 4) On the other hand, if you have a change of mind or circumstance we ask you return them to us immediately. As you can see little Bowie is one very handsome bunny! Hard to believe he was out on the streets and was handed into a local vet as a stray. Unfortunately, his owners were never found and there was no microchip either. We were very lucky to get the phone call and Bowie has made himself at home very quickly at Lost Souls Rabbit Refuge! Bowie is in great condition and we estimate he is about 5-6 months old - He is small in size for a Dwarf Lop breed. Bowie has been desexed, vaccinated and microchipped (included in the adoption fee) by The Unusual Pet Vets and had a thorough vet check too. Bowie is just delightful, he is a gentle soul and at times shy - He spends alot of time in my lap (asleep in a deep bunny dream) whilst i work away on the computer. When he free roams, he loves to explore and chin everything in his path! The binkies and zoomies this boy does when hes out free ranging - melts my heart! Even though Bowie has been through alot in a short life, he seems to be a happy bunny too. Oh, cat tunnels and carboard boxes are a MUST! Bowie isn't fussy with his food and has been on a good diet with plenty of fresh oaten hay, Vetafarm Rabbit Origins pellets, wide variety of vegetables and herbs plus some fruit too - His fave is a slice of granny smith apple and Smooshie Face Treats! Bowie is VERY VERY clean, with a high sided litter tray you hardly see a single poop or strand of hay out of the box. Bowie would suit being a single spoilt bunny or could eventually be bonded to a desexed female. We are looking for a lovely forever home for Bowie and know the right family is out there for him. Ideally, we would be looking for a family where Bowie could be indoors and be apart of everyday living. Bowie's adoption free is $165 which includes desexing, vaccination and microchip at The Unusual Pet Vets. Looking For My NEW Home! 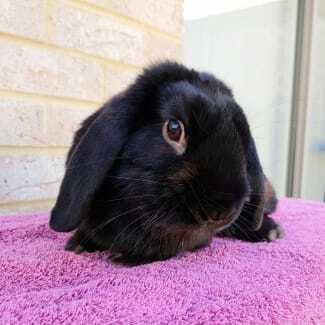 Mack arrived at Lost Souls Rabbit Refuge recently after being found on the streets and taken to Mandurah pound. The staff took very good care of him and we were lucky to get the call to take him in. Mack is in great condition albeit going through the last of a mega moult - Don't hold that against this very dapper young man! Mack isn't fussy with his food and so far has enjoyed a wide variety of vege and herbs with some apple and pear treats! He does love his Vetafarm Rabbit Origin pellets, breakfast of champions! Oaten hay is his choice of hay and happily munches all day long. Mr M has a very calm and gentle personality and hasn't minded being picked up and walked around with! Looooooves head scratches and ear twirls so much so you can hear his teeth purring. He certainly does have the potential to be a Netflix and couch bun for sure. Its clear he has been well handled and isn't afraid to be patted or picked up as long as you are in a secure stance. We are looking for his next FOREVER home and feel he could be bonded to a desexed female or very happy as a single spoilt rabbit too! Mack would be best suited with a family where he is inside and apart of family living. Mack's adoption fee is $185 and includes desexing/vaccination/microchip at The Unusual Pet Vets.